The area was a territory of Murakami Suigun (pirate), and said to be the most dangerous place in the sea for the fast swirling currents. 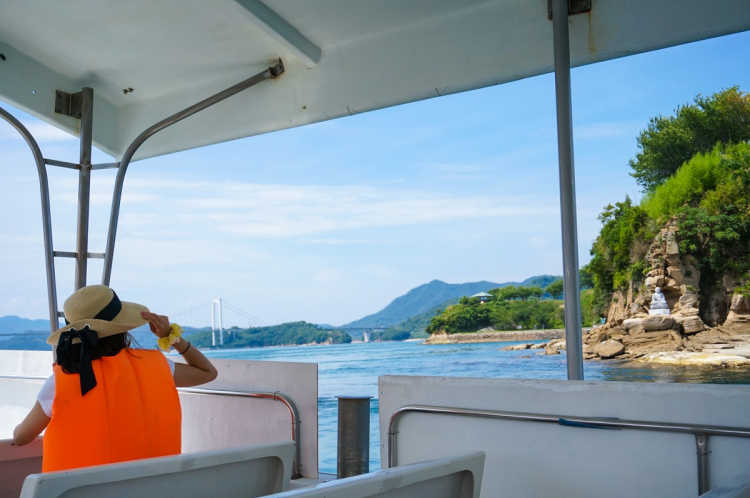 You can enjoy the nice scenery, and the thrill of getting into the currents!◎The swirling current becomes fastest around Noshima Island. And the second going under the bridge is also the highlight. For about 40 min, adult 1000yen. The speed of current changes by season.